Knowing what to expect prior to getting your first acupuncture session can make it easier to go into without worry or fear. Sometimes people have questions that they want to ask, but feel silly asking. In an attempt to help you feel less worried about going in for acupuncture, here are some questions and answers that may have been floating around in your mind that you did not feel comfortable asking. Acupuncture is an ancient science of medicine, first known to be used in China. It is a series of incredibly thin needles placed into certain pressure points around the body to help improve the overall flow of chi, or a person’s life force. When people experience pain, illness, or other health issues, it can be due to this life force being blocked, so these needles are placed in the body to open those pathways up and give a person better health opportunities. Is Acupuncture Going to Hurt? 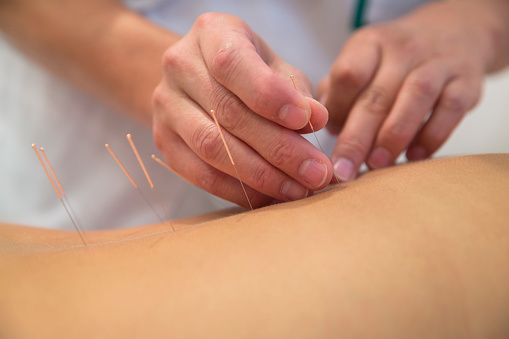 The needles used in acupuncture are about as wide as a thin human hair. They are much thinner than anything used for an injection, and most people experience very little or no discomfort at all when the needles are placed. Even people with a strong phobia of needles are typically fine once they see that the first needle did not hurt. Acupuncture can help with a very wide variety of medical ailments. You can turn to acupuncture for issues like whiplash and migraines, pain in any area of the body, dental issues to asthma, women’s and men’s health issues, and more. There is virtually no ailment that cannot be benefitted by some sessions of acupuncture. Will You Need Many Sessions of Acupuncture? The number of sessions you will require will depend on what you are coming in to get fixed, but you should expect at least five sessions of acupuncture. You may need more like ten or fifteen sessions to get past whatever it is that ails you, but each session will provide you with an increased measure of relief until you get to the final session. What Risks Are Associated with Acupuncture? Every single medical procedure out there carries with it some inherent risk, but acupuncture is considered to be one of the safest medical procedures done anywhere in the world. The two main things you are likely to feel when you are done with acupuncture are some tiredness and possible grumpiness. These are both because your body is working to heal whatever was wrong. Anything beyond these responses is incredibly rare. Will Acupuncture Really Help You? Every person’s response to acupuncture is different, but most people find incredible amounts of relief when they turn to acupuncture. If it did not bring people the relief they were looking for, chances are this ancient medical treatment would have died out over 1,000 years ago. If you really need help with something that is upsetting your life, consider the benefits of acupuncture. Millions of people around the world swear by it. What is DOMS and How Is It Affecting Your Recovery? Have you ever woken up a day or two after a workout and realized your muscles went from being fine to cramped up and painfully sore? This is DOMS, also known as Delayed Onset Muscle Soreness. It happens because when you work out, there are microscopic tears within each muscle group that you use. Then, anywhere from 6-48 hours after your workout has stopped, those tears get inflamed as your body is trying to heal them. So, what does this mean in terms of your recovery? First, it means that you have done a bit of damage to those muscles and you need to take some time to try and correct the damage you have done by allowing it to heal. If you try and push through, you could struggle with being able to keep up with your normal intensity during the healing process, and potentially do more damage. Second, it can mean that for some, it may be a little harder to stay motivated to continue your workouts because you may worry about continuing the damage or increasing it by other exercise in the same area. Finally, it can also mean that you need a bit of help with the recovery process. 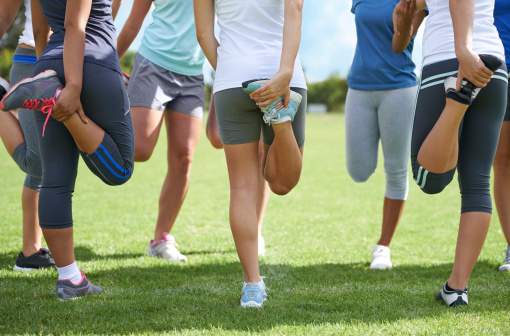 In order to boost your recovery, you should consider options like massage therapy, as this increases blood flow and oxygen to the area, speeding up your muscle recovery anywhere that DOMS is present.